Chiswick Park Enjoy-Work, the business campus located in West London, announces the appointment of Matt Coulson as Chief Executive Officer (CEO). Matt will be responsible to lead and develop the business strategy for the 1.8 million sq ft office development in Chiswick, W4, managed by property management company Enjoy-Work. 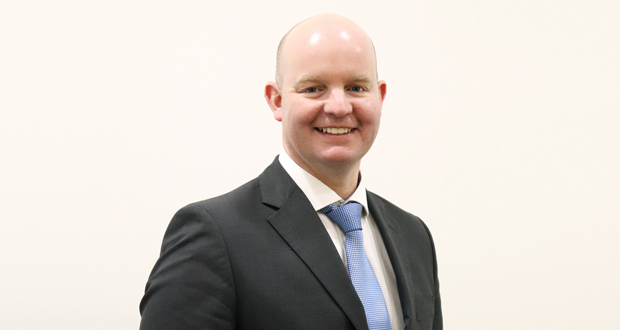 Matt joined Chiswick Park Enjoy-Work as Operations Director in 2014. Prior to this, he was part of the team developing and opening Center Parcs Woburn Forest for 3yrs. He also worked for eight years at David Lloyd Clubs. Fitness enthusiast, Matt Coulson studied Sports Science at Liverpool John Mores University and is a professional personal trainer by trade. Chiswick Park benefits from its on-site property management team responsible for overseeing and performing the daily operations of the campus as well as proposing a programme of regular activities and concierge services dedicated to the guests. The Enjoy-Work philosophy aims at providing an environment where people take pleasure at working and are therefore more productive in their work. ‘If you enjoy work, you do better work, if you do better work, you have a better business’ and it is what drives the success of the park to date’ said Coulson. ‘We are committed to providing an unrivalled guest experience within unique surroundings, and I am honoured and excited to take on the lead as CEO’ added Coulson. Chiswick Park is made up of 12 buildings, bringing together over 9,000 people from 65 of some of the world’s leading companies such as QVC, Discovery, Starbucks or Danone. It is set in 33 acres of landscape garden featuring a lake and waterfall.